​All MY Organic Candles combine a base of natural organic soy wax and organic coconut oil, a lead-free cotton candlewick, pure essential oils and fine fragrances to create a clean burning, perfectly scented highly aromatic candle. Each candle is triple scented so the subtle fragrance keeps throughout the entire burn. Spiced Mahogany Fragrance Oil - A deep, rich, masculine and woody fragrance, with top notes of bergamot and lemon peel, bold middle notes of patchouli, cedar wood and oak moss and rounded out with tonka bean, vanilla and spicy cardamom. All fragrance oils due to their raw materials may discolour the wax. This is normal. Candle Warning - Failure to follow instructions could result i fire, hazard or injury. Never move a lit candle. Always Keep Out of Reach of Children and Pets. Never leave a burning candle unattended. Ensure the candle is on a flat surface away from draughts and flammable materials. Do not move or pick up burning or hot candle. Container May Become Hot. 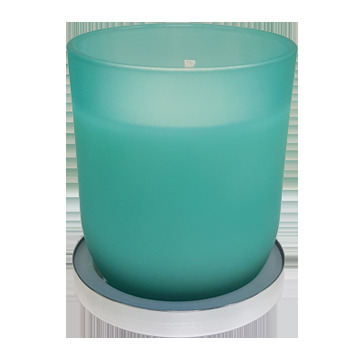 Always Store Candle in a Cool Dry Place Below 25°c and Away From Direct Sunlight.